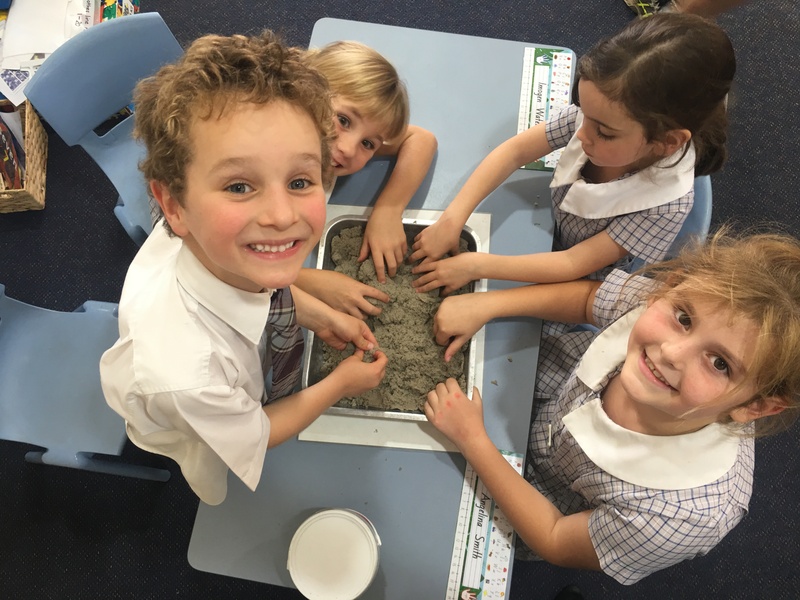 Did you know we have a class full of Paleontologists in K/1/2? 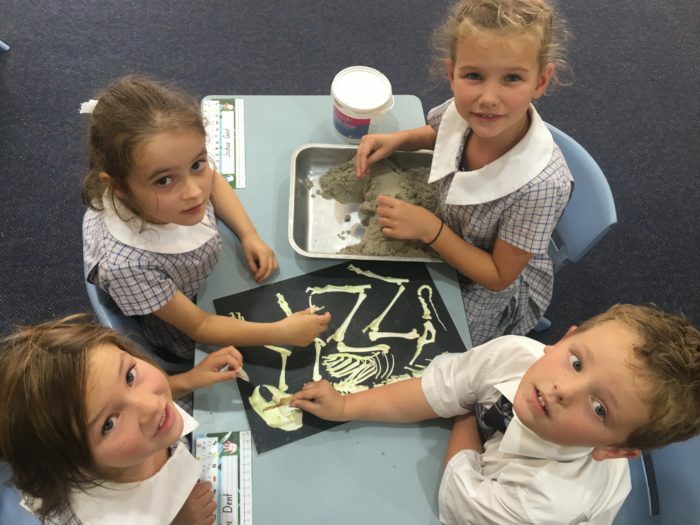 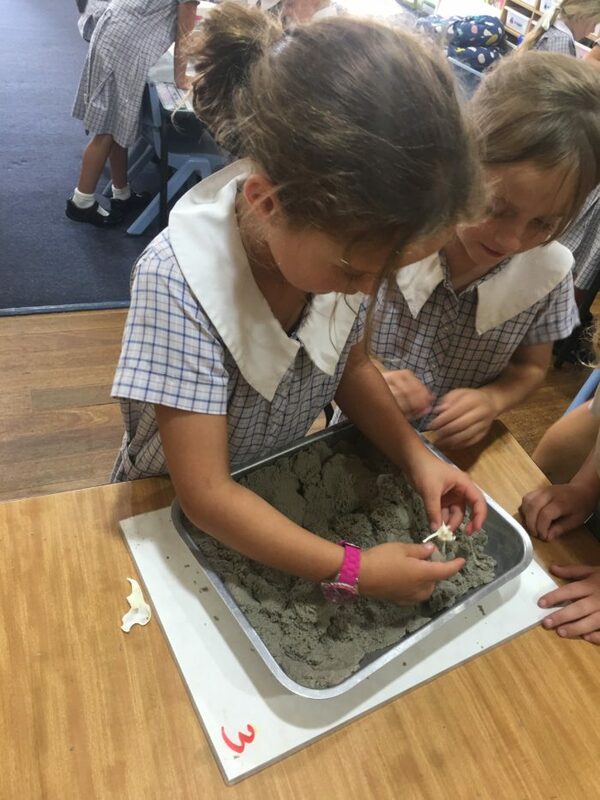 We know all about dinosaurs, fossils and other prehistoric animals. 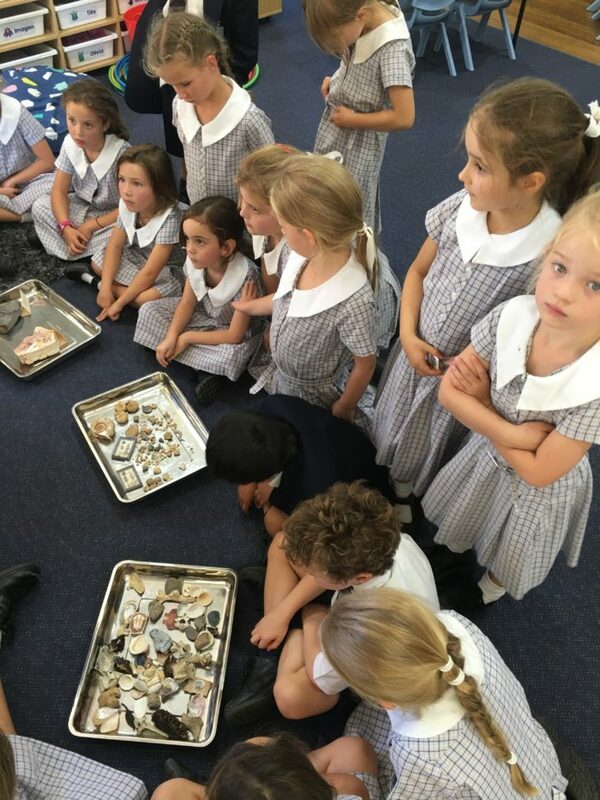 We had a lot of fun exploring real fossils and real animal bones when the UNE Discovery Bus came out to visit us! 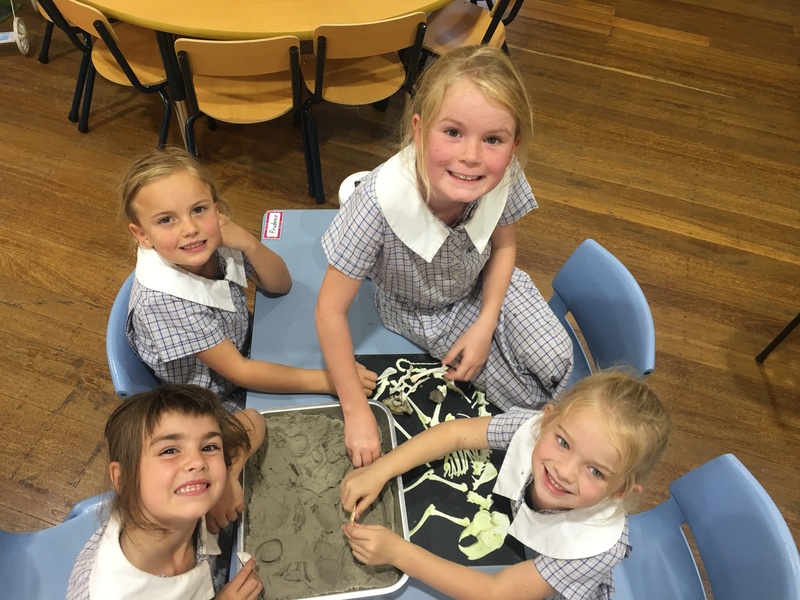 We have also been creating our own dinosaurs in class. We had to give our dinosaurs various features that we have been learning about like scales or feathers, a long or a short neck, sharp or flat teeth. 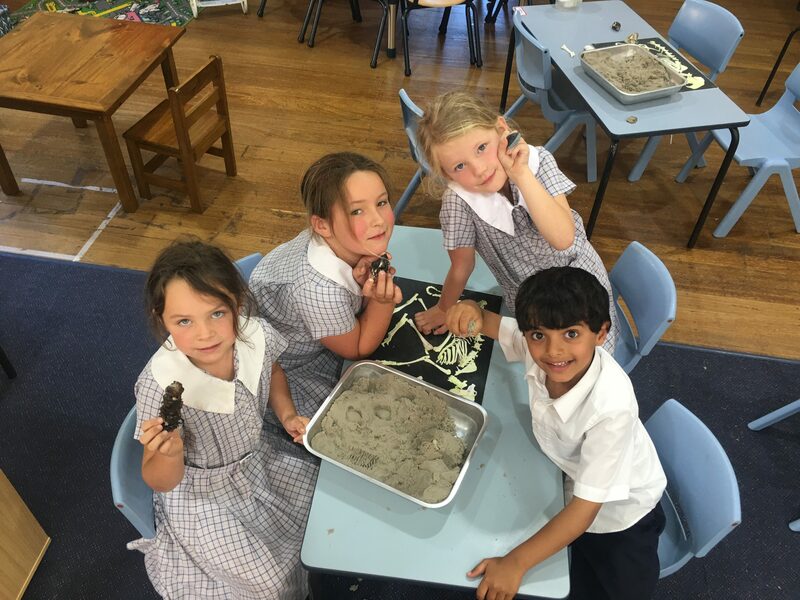 All these features give us hints as to how the dinosaurs lived.